Some of you may be unfamiliar with what a "podcast" is or why anyone would listen to one? Podcasts are recordings of events, shows or seminars and/or the occasional sales pitch. Some podcasts are similar to talk radio shows with live callers hosted by a main host and sometimes a co-host. Today's "radio show" has been moved off of the airwaves and into your iPod or other mp3 device. Thousands of these podcasts are available, mostly for free, in the iTunes store. Far ranging topics are available as podcasts on iTunes and in other places around the Internet. I usually focus on the Internet marketing and ecommerce titles but also download free photoshop training, "This Week in Tech" podcasts from Leo Laport, John C. Dvorak's "Cranky Geeks" financial news and a few more. Topics are plentiful and inspiration is included. I listen to these podcasts to try and learn something while doing things which would be unproductive otherwise. I have learned a great deal just from this free resource and I have been fortunate enough to forge more than one friendship with people I would never have met because of podcasting. 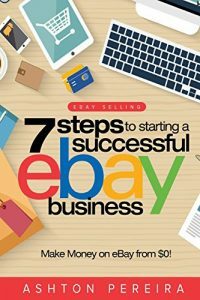 I first met Dave White of "eBay & Beyond Basic To Business"
and eCommerce Radio Network through a service called entrecard. I started a conversation with Dave to see what he thought of entrecard and the rest is history. I have since appeared on Dave's live talk show as a co-host over 20 times and I have tried to help Dave, where I can to develop new markets for his show with Online Auction and Bonanzle sellers. Dave is the heart and soul of his show. 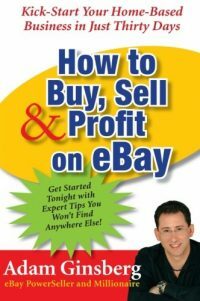 As a long time eBay seller Dave always defends the rights or point of view of the merchant when it comes to eBay. Jay Berkowitz has a smooth voice and gentle delivery. His podcast is titled "The Ten Golden Rules of Internet Marketing"which just also happens to be the name of his company. Rule number one of the Ten Golden Rules is that there are "no rules in Internet marketing". (Listen to the podcasts to hear the rest). Jay's podcasts take people to places and into interviews with luminaries from the Internet marketing world that most of us would never meet. People like Matt Cutts of Google, and Andy Sernovitz of word of mouth marketing but also others you might not expect like Robin Cowie of the Blair Witch project and Worldwide brands or even myself from time to time. Jay interviews these people without the all knowing superiority one might expect coming from a Madison avenue marketing director (Jay was a Marketing director for companies like Coca Cola and McDonalds and helped Sprint & AT&T with a few online campaigns, just to name a few - oh and then there was e-Diets), Jay approaches these interviews much like one of his audience members might do. With genuine interest and a little bit of awe that he actually gets to speak with these famous and wealthy people. If there is just one Internet Marketing podcast you try, start with episode 1 of the Ten Golden Rules. I am honored that both of these gentlemen include me in their lists of friends. Since meeting each of them I have had the privilege to meet and travel with them to conferences around the country. I must take credit for unleashing Jay Berkowitz on the world of eBay and turning some eBay marketers world upside down, by arranging for his speaking at Rocketplace Disney and then helping to bring Jay to eBay Live 2008, where he launched his book and packed his seminar with a standing room audience (rare at Bay Live this past year - expet for Seth Godin's seminar in the same hall). Podcasting has helped me to learn and expand my depth of knowledge for myself and my clients. As a listener and a speaker I have been enriched by the experience with new relationships and new opportunities. Marketing Over Coffee with Christopher S Penn and John Wall is another must listen podcast. Heck, these guys practically invented Podcamp (a gathering of podcasters in various places around the country devised to share podcasting ideas). On the last episode of Marketing Over Coffee the hosts of this popular podcast just happened to have a live recording of Seth Godinon stage giving one of his famous seminars on marketing. Instead of editing the recording so they could dissect and comment on what Seth was saying, Dave and John simply laid down their microphones and let Seth speak for himself. A Wise decision! You can find the podcast download here: Seth - Tribes but essentially Seth Godin has pronounced traditional marketing not as a dying methodology, but simply a dead corpse. Seth Godin observes that the old way of marketing, the marketing methods which we have all grown up with, and he terms as "Interrupting People Until They Notice You", has not worked in over ten years. Television was the inspiration for this annoying kind of marketing and since we all grew up watching television, we all assume that style of marketing works. Show people your name enough times, interrupt their train of thought, place yourself between them and what they are doing and they will not only remember you, but they will buy from you. Seth Godin says that's all hogwash! Listen to the podcast if you want to know what direction your marketing should follow. I believe Seth is right. We simply do not pay attention to television commercials, banner ads, billboards, bouncing gif images, or loud obnoxious carnival hawkers any longer. People have been numbed by the noise. People are craving actual, real content... Stuff they can evaluate, read, touch and feel. People want to know who they are dealing with and they don't just want to know the specifications of your products, they want to know what, if anything, those products are good for? In my view, using the power of content and information in a small business is the new marketing plan. Inform, entertain, teach, share and contribute. Your customers want to know they can trust you, your customers will go where they can find out more information about your products. If you do not have a place for them to find that information, your customers will go elsewhere. Every business should have a website and a blog! Blogs Work! From a blog a business could host a podcast, these kinds of opportunituies are available to each and every business in America! New Marketing is informational and informative. We are all part of a tribe of some sort (listen to Seth about that) and we want to belong, we buy things we think other people buy and we respect other peoples opinions. Get out there and give yours! 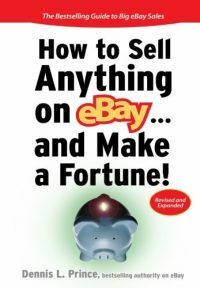 Making Money on eBay, Is It Possible Without Listing or Shipping Anything? As usual, you’re on top of your game with more useful ideas, i.e. podcasts, to help small entrepreneurs grow their businesses. Hearing Seth Godin at eBay Live was better than a jump start. It was like getting a new car battery! I’ll check out his and Jay’s podcasts. Thanks for challenging us to stay on our toes in reaching out to our target audiences in new and effective ways. “If we build it they will come.” But only if they know we exist! I’m in complete agreement with your thoughts on podcasting as a way for small businesses to connect with their customers to communicate, inform and foster a sense of confidence and security. My thanks to you for bringing Jay Berkowitz to RocketPlace. It was Jay’s presentation last Feb that inspired me to start a podcast series.